Coralie Nixon has 30 years working in the building and property industry, the last few in property management. Her wide-ranging experience has enabled her to bring a wealth of knowledge to her role as a property manager. 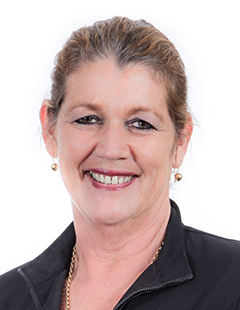 Coralie has also owned property for many years and witnessed the evolvement of the local market so she is able to bring a depth and breadth of experience to her understanding of landlord expectations. She knows her Hamilton market and its value intimately. Though property management is deregulated, Coralie has opted to keep her real estate licence current which involves hours of compulsory training. This, along with ongoing systems and compliance training around the RTA 1986, plus keeping up to date with amendments and government regulation changes, keeps her conversant with all aspects of the industry. Knowledge and experience combined with the integrity she brings to her strong personal work ethic, ensures she delivers a service that landlords appreciate. Coralie also owns a property at Mount Maunganui where - when she has some leisure time - she loves to relax and enjoy all things that “The Mount” has to offer.